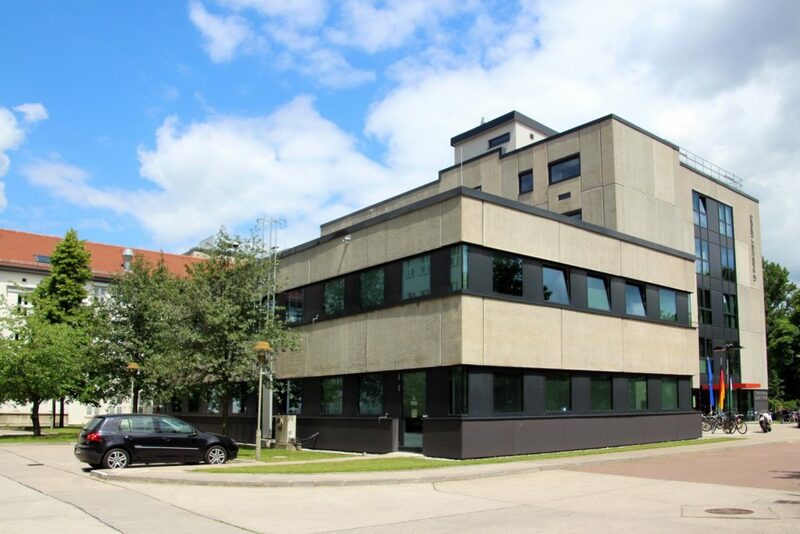 The Technikum/Analytikum, a chemistry and mineralogy laboratory complex, was renovated in two phases with the minimum of operational disruption. 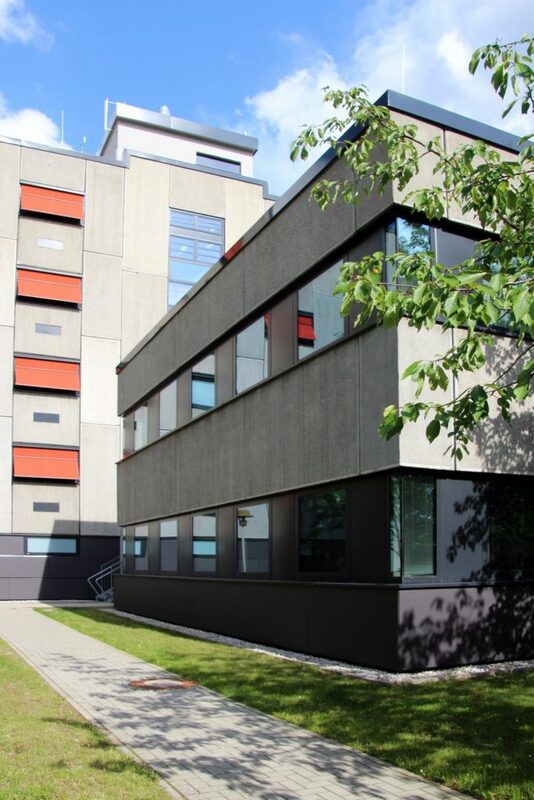 The project involved upgrading the building’s laboratory and information technology, along with the heating, ventilation, sanitation and fire prevention systems. 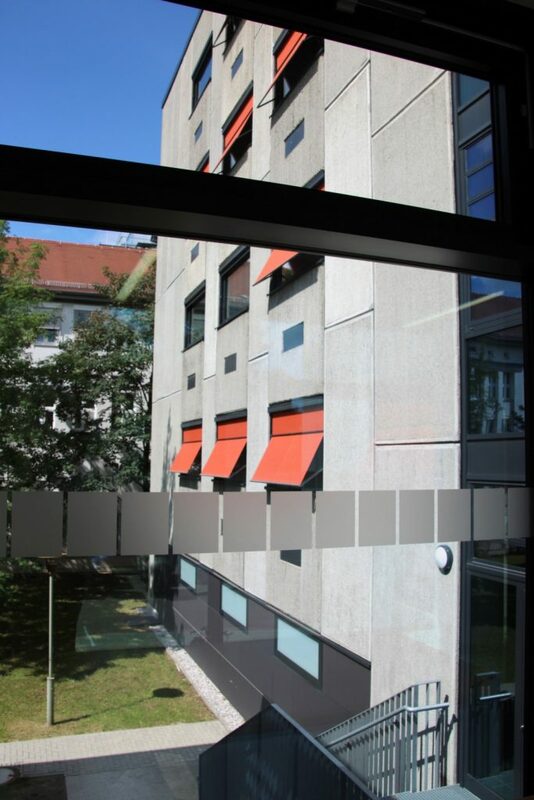 The most obvious outward evidence of this comprehensive modernisation is the replacement of timber window frames with alloy ones, and the addition of coloured sun blinds to the otherwise monochrome precast reinforced concrete beam-and-column structure, which dates from 1989. 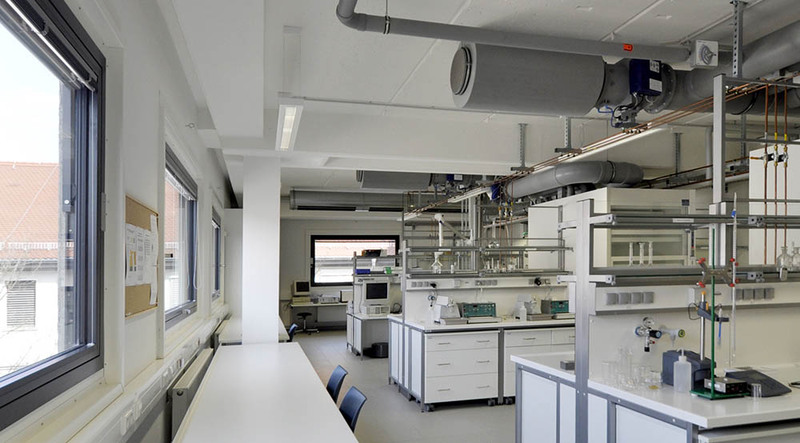 Laboratories, measuring areas and clean rooms occupy around 70 percent of the usable area, and the building also houses the technical, analytical and inorganic chemistry institutes and a series of specialist laboratories. It consists of three complexes. 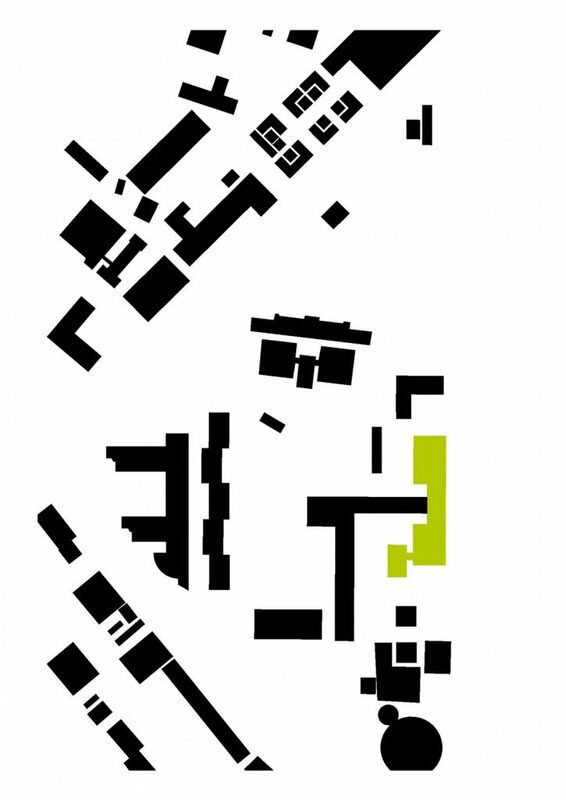 The multi-storey buildings I and II, facing north and south on Linnéstrasse, contain laboratories, and building III is set back and linked to building III, overlooking a courtyard.